Telnet is a very useful text-based tool for those who need to access other computers and devices on a network and manage them accordingly. However, many Windows 8 users have tried to run the program only to find it’s not there. Instead, users are met with an error message stating, ‘not recognized as an internal or external command’. There’s no need to worry as this application is available in Windows 8 but it does need to be installed and enabled. In the top right corner of the menu change the “View by” option to “Programs“. In the dialog box that pops up, look for “Telnet Client” in the list and then put a check next to it. Press “OK” and the installation of the client will begin. Now you can use the command just as you did before! Windows 8 is fast and builds upon the success of previous versions of Windows, but it’s not exactly the easiest operating system to get used to. Windows 8 has a brand-new look and our beloved Start menu and desktop seems to have vanished in place of a new “Start Screen”. Where in the heck do you go from here? 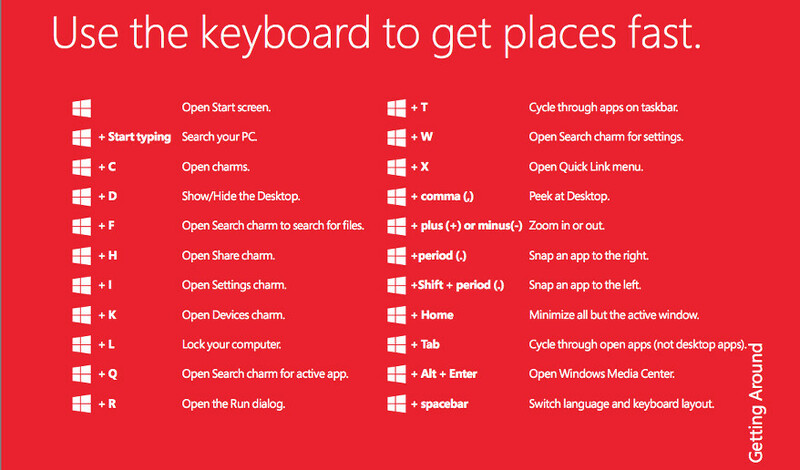 If you or a friend have recently bought a new Windows 8 PC and you’re completely lost, there’s no need to worry, as Microsoft has released a great Training Brochure (PDF) that covers the basics and also gives you some handy shortcuts to get you around the new OS much faster. The guide goes over pretty much everything you need to get started with Windows 8 including basic navigation, app arrangement and grouping, charms, PC settings, App commands, Internet Explorer 10 in Desktop mode and “App Mode”, Security, theme customization, and shortcuts. Although Windows 8 may be a little scary at first, it’s still a quick and powerful version of Windows that should only improve over time. Once you get used to the new user interface, things should go a lot smoother and this guide will hopefully help you get there. 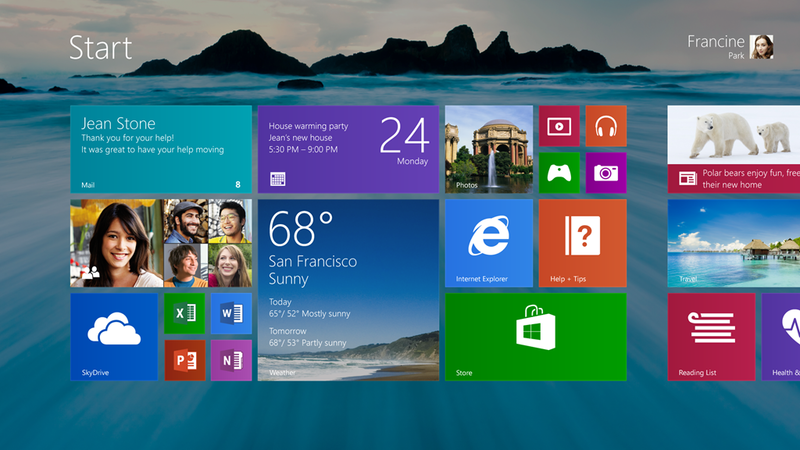 In many ways Windows 8 is pretty awesome, but it has many flaws. One of these flaws is the lack of an intuitive UI. Many people have found that even performing the most common tasks, like shutting down the computer, are very difficult thanks to hidden menus and buttons. Fortunately , Microsoft is looking to solve these problems with upcoming release of Windows 8.1, which is set to be available to the general public on October 17th. We originally offered up a solution that allows you to quickly shut down your Windows 8 computer in one step but with the upcoming release of Windows 8.1, this process will no longer be necessary but you can still use it if you prefer. Instead, Microsoft offers it’s own solution, the Start Button. With the new update, instead of opening the charms bar you can simply right-click the Start Button or press the Windows Key + X, which will open up a menu with the option to Shutdown or Sign Out. 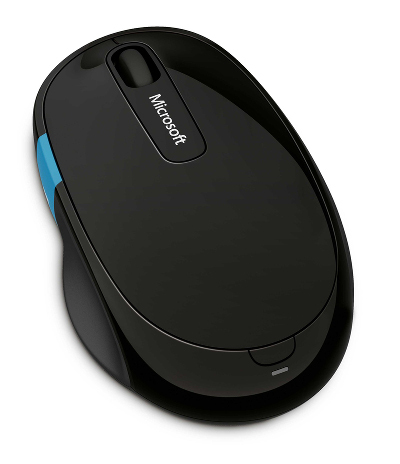 With Windows 8 beginning to really settle in, it seems that Microsoft has decided to launch a new mouse to make the whole experience feel better. 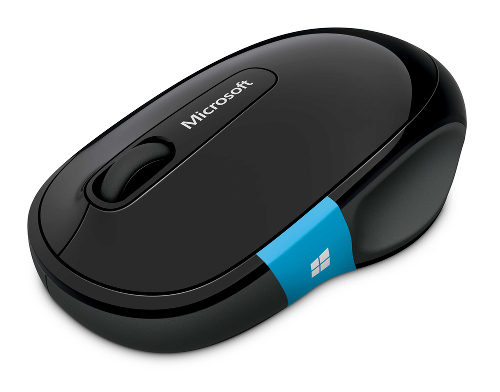 The Microsoft Sculpt Comfort Mouse is designed to work Windows and it also has some features that are specifically for Windows 8. 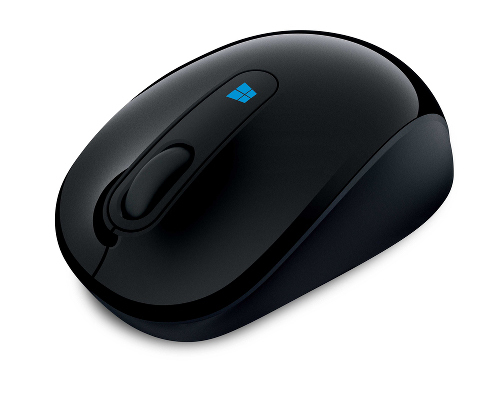 The most obvious feature on the mouse is the Windows Touch Tab, which is the big blue strip on the side mouse that allows you to quickly return to the Start Screen when pressed in the center. With Windows 8, if you swipe up on the blue strip you can switch between open apps, if you swipe down it will show you all open apps. The stripe can also be used to open the Start menu on older versions of Windows. The wheel offers up four way scrolling and the mouse movement is captured using Microsoft’s BlueTrack technology. This mouse is wireless and uses bluetooth which will also allow you to connect it to a tablet. You can also get a mobile version of this mouse which boasts many of the same features except that it lacks the blue Windows strip on the side. The Sculpt Comfort is selling for $39.95 and the mobile version is selling for $29.95. You can read the full hardware specifications on Microsoft’s hardware page. 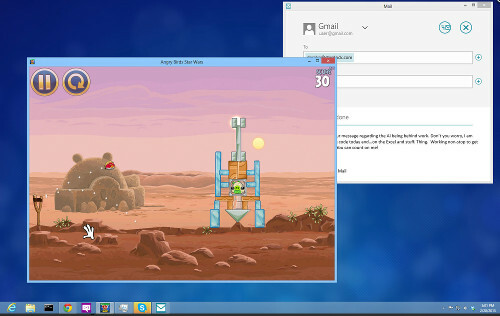 Windows 8 is unlike any other Windows OS we’ve seen and although the new “tile system” is pretty cool. The look and feel of full screen applications on Windows 8 are also a big departure from what we’re used to, but not everyone is enjoying it. If you’re one of those people who have a few favorite apps that are exclusive to the new Windows 8 style UI (metro) and would much rather have them open up on the “classic desktop” in a regular window, then you’re in luck. There’s a great app from Stardock called ModernMix that does all of this for you and isn’t just a change of appearance either. These are fully functional windows that can be resized, pinned to the taskbar, and completely closed using the familiar “X” button. 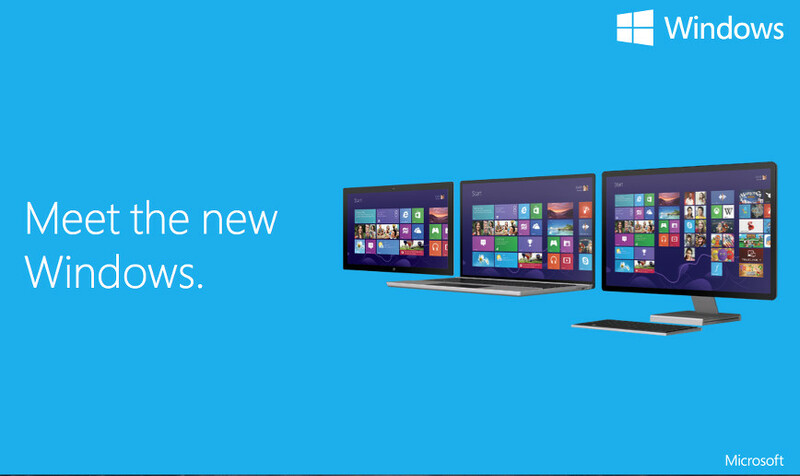 Sounds simple enough, and if you’re not enjoying the new style of Windows then this could be a perfect solution. You can try it for free for a month and the application is only $4.99 to purchase.